Leadership development, professional speaking, training and non-profit expertise. Robin is the author of the book, Know Stress to No Stress—A Guide to Achieving Life Balance. Her current book (pending publication) is called Fundraising Fundamentals: A fun, step-by-step guide to raising more money, faster. Robin has consulted with Fortune 500 companies, designing and presenting customized leadership development training programs. She holds a Certificate in Fundraising Management from the Indiana University Center on Philanthropy. Her passion is fundraising consulting for nonprofit organizations. She is a member of the Association of Fundraising Professionals, a volunteer with the Vail Valley Partnership Nonprofit Network and a Colorado Nonprofit Association Member.  Robin has an extensive list of speaking topics for Corporate and Association audiences. She is skilled at motivating others to achieve consistent results by authentically relating to personal and professional goals. Robin is continually learning through teaching a graduate level Effective Leadership class. She currently holds a faculty position at Lake Forest Graduate School of Management teaching leadership classes for an MBA program. She has two programs approved for HRCI credits through the Society of Human Resource Management. With more than 20 years as a professional speaker and trainer, and five years of direct leadership experience in higher education setting, she understands how to create and present effective programs. President, Professional Speaker & Fundraising Consultant Robin is a collaborative and trusted leader with innate ability to foster long term relationships, manage leadership development activities, and create positive employee relations. Very adept at fostering employee engagement and retention attributes and strategies to involve maximum participation at all levels. Skilled in motivating others to achieve consistent results by authentically relating to the employees personal and professional goals. Consultant to Fortune 500 companies, unique ability to transfer knowledge, concepts and best practices with outstanding results.